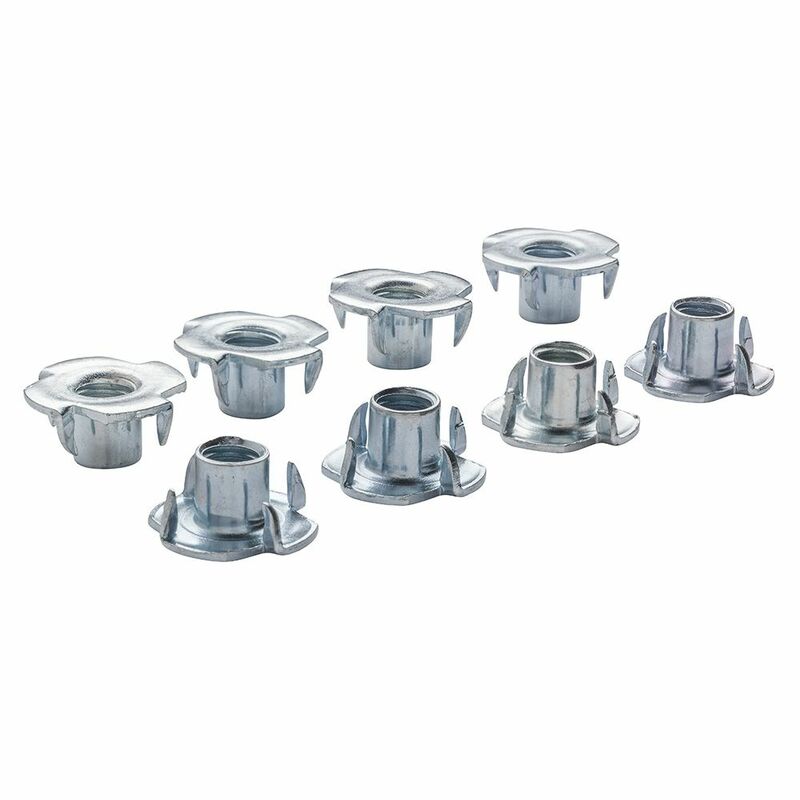 T Nuts provide a quick and easy method for mating machine threaded components to wooden parts. 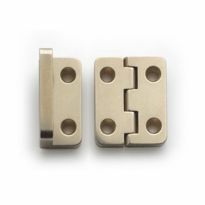 T Nuts provide a quick and easy method for mating machine threaded components to wooden parts. Simply drill an appropriately sized clearance hole for the threaded barrel and hammer into place. 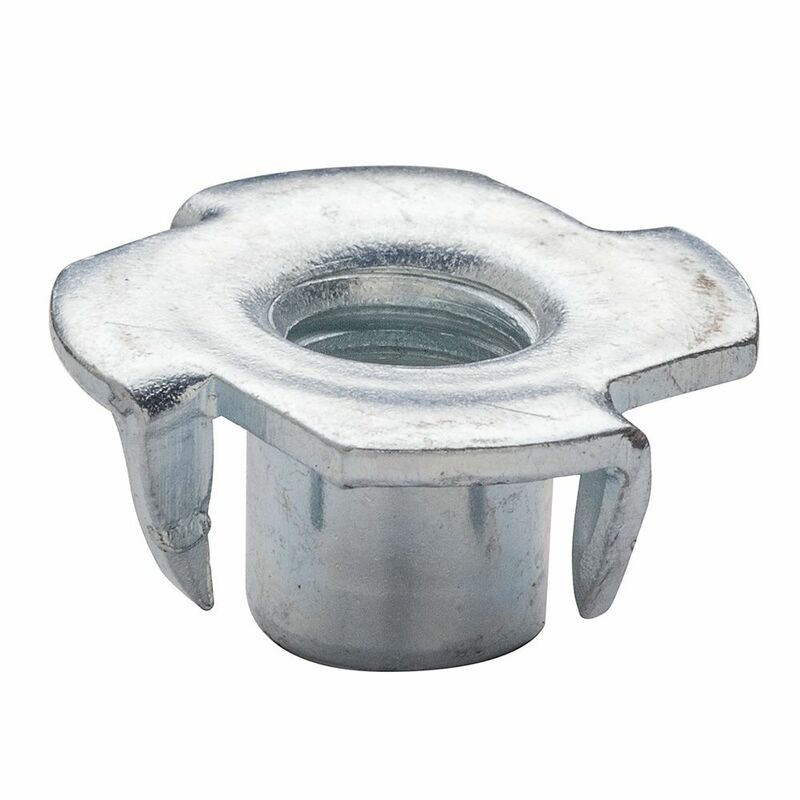 T nuts are made of high quality steel and available in a variety of sizes. T nuts perform well and do what nothing else will in many situations. T Nuts just worked great. The Tee Nuts were of good quality, correct size, and packaged count (and value) that worked out just right for the application that I needed them for. A normal person (like me) doesn't have need for Tee Nuts every day but if I ever need them again, I know where to find them. These are for making jigs for my shop. you can reuse them time and time again. Bought a few and they were so easy to use I went back and bought more. Used them in re-install of a boat interior. They worked well in that application. 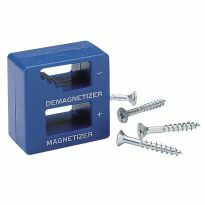 This product is so good, that I'm planning to purchase from Rockler. Having created hundreds of one-of-a-kind art tables, I can attest to the fact that nothing is truly flat or level. Even if the table is flat, the hand-worked stone floor is not. Carpeted floors have elevated wall edges due to tack strips. I have installed levelers in the legs of almost every table that I have created. 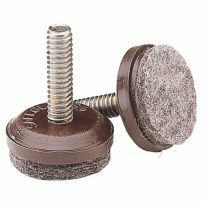 While I love Rocker's felt foot pads (P/N 32498), the crucial item for proper installation is the tee-nut. Having tried various types, including those from the big box stores, I can attest to Rockler's 4-wing tee-nuts. They are sturdy enough to be driven into oak, bubinga, and even ebony! A great product. I can always find what I need for my projects at Rockler. 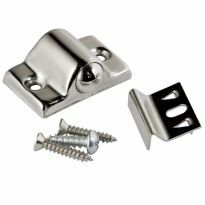 I can get things here that I cannot find at the typical hardware store or lumber yard. I always review the catalog and something will catch my eye that I didn't think of. Sometimes plan "B" takes over and makes the project better and easier! 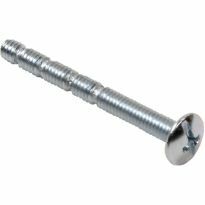 I used 4 3/8&quot;-16 Teenuts on the bottom of the legs of a desk I purchased for online graduate school coursework on my laptop computer that proved too low to get my legs underneath in my wheelchair. The Teenuts arrived very quickly, are of excellent quality material and construction, installed easily into a pre-drilled hole and worked great for mounting leveler glides I had purchased from another company to raise the desk almost 2&quot; and now am able to put my new desk to good use. Used the tee-nuts to assemble wall modules to enclose my deck in the winter they work rather well. So come summer I just un-bolt the walls and store them till next winter. Used the three inch hanger bolts to secure the walls to the deck on the sill plate. I found that some of them didn't penetrate the wood (actually hardboard in this case) and the tines would just fold over, but once I got a good one, it works well. 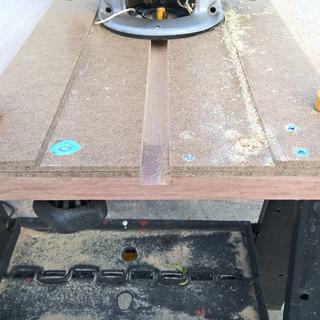 But that might be why they're easy to trim on the belt sander so they're not too thick for the wood. I used them to make dado jigs from a plan from Woodsmith Shop. Adjustable dado jig from a plan from Woodsmith Shop. Nice handy T-nuts, inexpensive. But need to be used in the right application - only if weight pushes down on nut, or (better) pulls on nut through material. The nut will pull out easily if force goes in any other direction. On sale to try out & see if better than hardware store variety. Ain’t that a little personal, ..... asking a guy how he picks his nuts ? I needed an item to attach the new felt pads to our old bar stool legs. This was the recommended item to match the felt bottom levelers. The stick on variety keep coming off. As a Woodworker great for joining ect. The size I needed. Would have purchased smaller size if available. Putting the t-nuts in the bottom of the legs on my model railroad benches to insert the leveler glides in. Needed them to work with the leveler pads. Needed in order to utilize Plastic Lever Glides. Because I can install and remove temporary for quick reinstall. Needed them to replace the fasteners on our church trailer fenders. I saw these used on Mathias Wendell's Wood Gears YouTube page and wanted to see what I would use them for if I had a few. For a table saw fence project. connect two pieces of wood!! 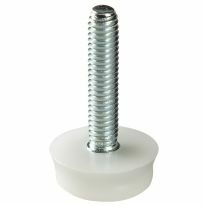 Very handy in wood and don't need separate nuts that come loose. I have a little project to change the feet on a turntable. I don't know whether 4- or 3-pronged tee nuts will better do the job. I am in a hurry. It was a good fit for my project. I got these with the "combination leg equalizers" to go into some 2x lumber legs, as the included base plate with the levelers is slightly wider than 2x, but these T nuts will fit perfectly. What is the diameter of the nut? I've used t-nuts in pine but I have an application to use them in Cherry. The need to be driven perfectly flush. Will I be able to hammer them into cherry? Has anybody used them in cherry, maple, or other very hard wood? Unless you countersink the head about 1/32-1/16", it will not be flush. Measure the thickness of the top flange and drill your countersink that deep. I have always used a small socket to knock mine flat so I don't mar the wood. You're right about pine... if you hit it hard enough it will be flush with the top of the wood, but not hardwoods. I have had great success driving these into end grain of many hardwoods. And yes, countersinking is a great idea, especially on table legs so that the adjustable felt feet can be screwed totally into the leg when the table is placed on carpet. 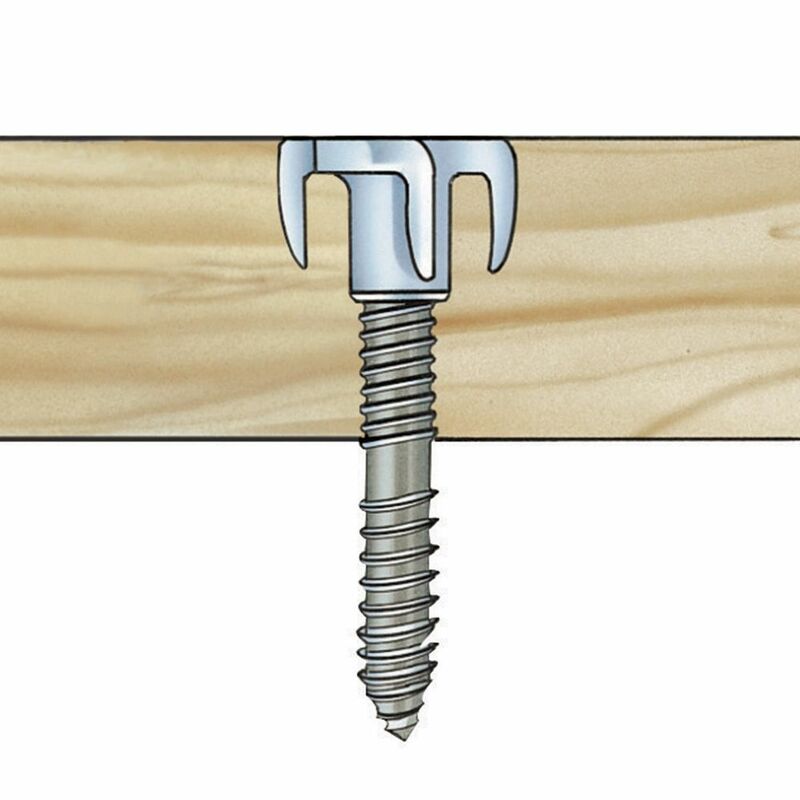 Your best bet is to use a forstner bit to create a small recess before drilling your hole clear thru the board. This will give you a clean, square, and flush tee-nut install. 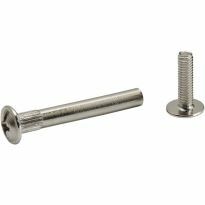 I'm in search of insert nuts small enough to use on wooden drawer pulls..can anyone point me in the right direction?..Thanks! !